You can Thrive in Dargaville! The land surrounding Dargaville is predominately agricultural, with our warm climate and fertile soils making the land very productive. 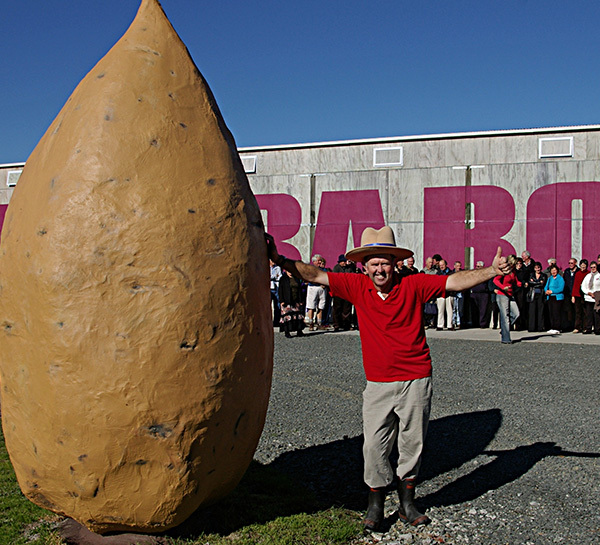 The lower plains surrounding the Northern Wairoa are perfect for growing crops like kumara, while the hills provide a mix of dairy, sheep, and beef production. Agriculture sector also provides a rich source of employment locally, with kumara providing significant seasonal work. Dargaville provides a strong support hub for agricultural activity with many of the businesses providing specialist goods and services. Our local manufacturers prove that Dargaville has what it takes to not only serve our town and country, but also the world. From specialised farming and construction equipment, to the manufacture of outdoor leisure sails, farm bike pods, office furniture and trailers, there is a wide skill base and a willingness to innovate among the Dargaville manufacturing community. Dargaville acts as primarily a service centre for the surrounding rural district which encompasses around 10,000 people. There is a strong shopping experience, a service centre for the many and varied agricultural businesses with both the service industry and professional services abundant. With an increase in residential housing, our local construction industry is thriving. Builders and associated trades are busy with more consents being granted. Council is receiving increasing pressure to open up more residential zoned land for development to meet demand for those wanting to build in the township. With a surge in pine plantations over 20 years ago, our local area is experiencing an ongoing period of forestry harvesting. Most of this product is freighted to whangarei ready for export for national and international supply. There exists significant opportunities for other industries to enter the local market to complement existing or stand alone to build our economy. Need some support to help make your business venture a success in Dargaville? There are a number of options available to you.